Last night we won the ‘Stafford Borough Dementia Friendly 2020 Award’ and we couldn’t be more proud! The award is recognition for raising awareness of dementia and actively supporting those affected by dementia in the region. And for creating the Stafford Dementia Action Alliance and working to engage other businesses to become Dementia Friendly (a full 2 years early!). 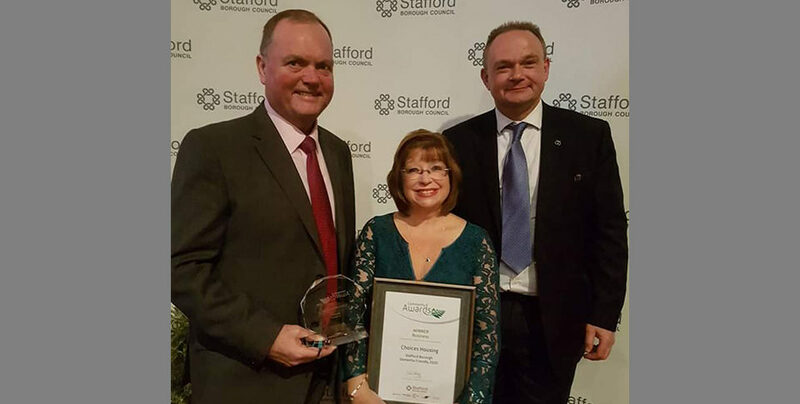 Pictured with the award is Diane Wallace, who leads the Dementia Outreach work and set up the Dementia Action Alliance, with Nigel Downs (Managing Director, Choices) and Councillor Jeremy Pert.